Today, it rained. Sideways it rained, in sheets it came, causing the brook to rush and form white caps. 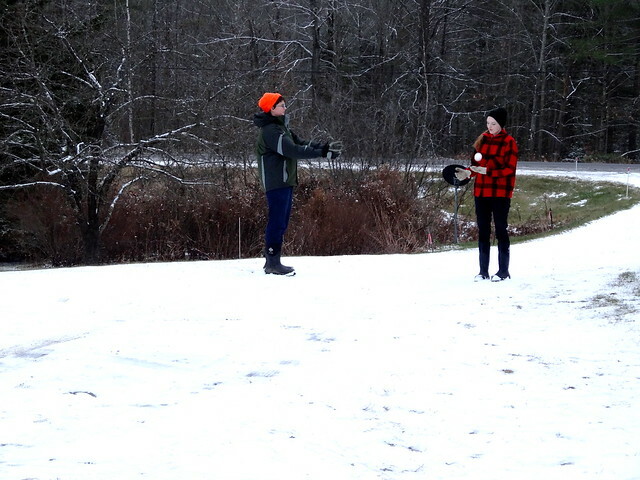 Today, we warmed up to 52F. 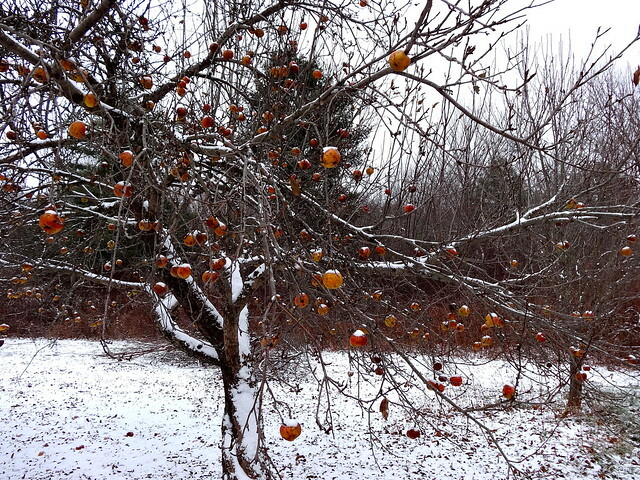 Tomorrow is forecasted to be clear and cold, seasonal and good for gathering. Tomorrow is Thanksgiving. 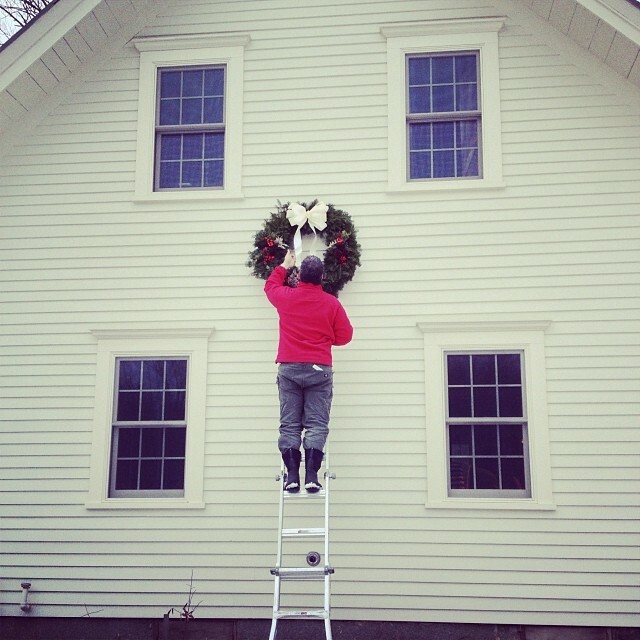 Yesterday, as is our tradition, we decorated the greens and hung them on the farmhouse. 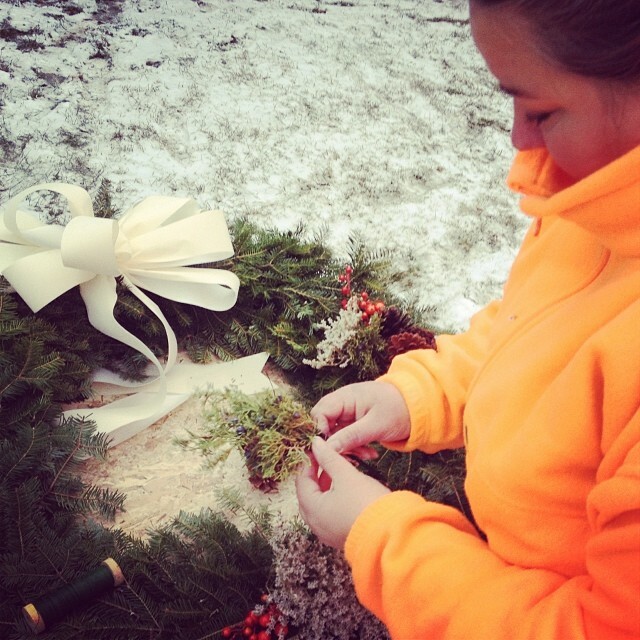 A wreath for the front door, a wreath for the house, and garland for the east stoop. 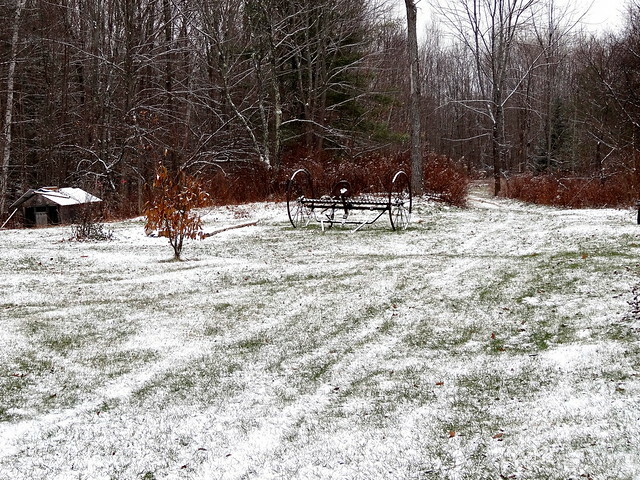 Yesterday, it snowed, just enough to dust the hills and roof, but welcome all the same. 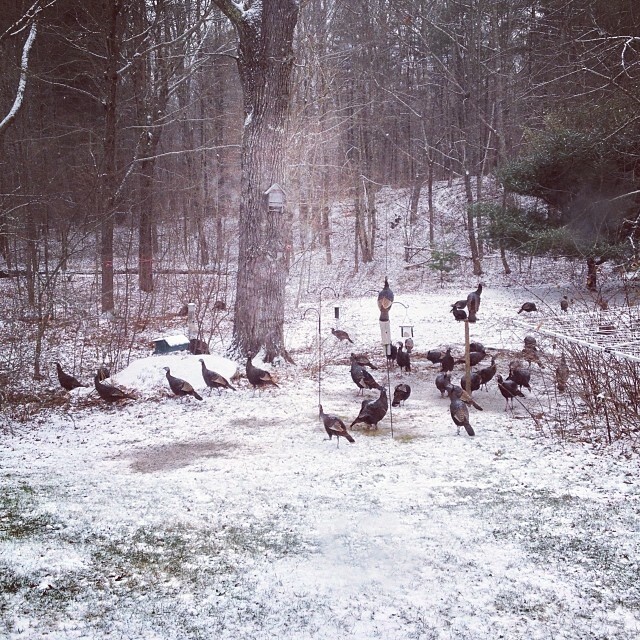 Yesterday, the kids made snowballs and the wild turkeys arrived in the morning, all fifty or so of them, heedless of their necks so close to a turkey-centered holiday. 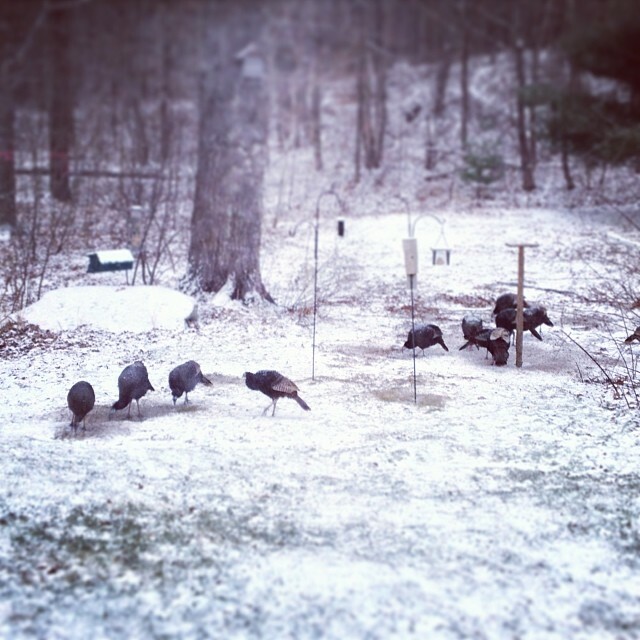 (They are safe with us, our turkey is from another farm.) 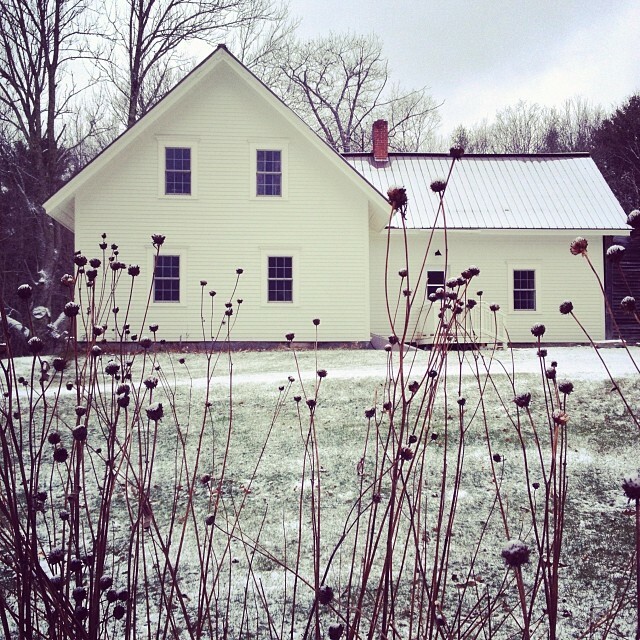 Yesterday, we began readying the farmhouse for hosting family for Thanksgiving. If you find yourself gathering around a table, or practicing ritual in the coming days, may you find yourself enveloped in kindness and warmth. Amy - Happy Thanksgiving to you and your family. I hope that your first Homestead Thanksgiving was filled with food, family and love. I had to laugh at your flock of wild turkeys. As we left our home to join family for thanksgiving, we passed a huge flock at the neighbor's house. It seems that they decided they were safe at that point! 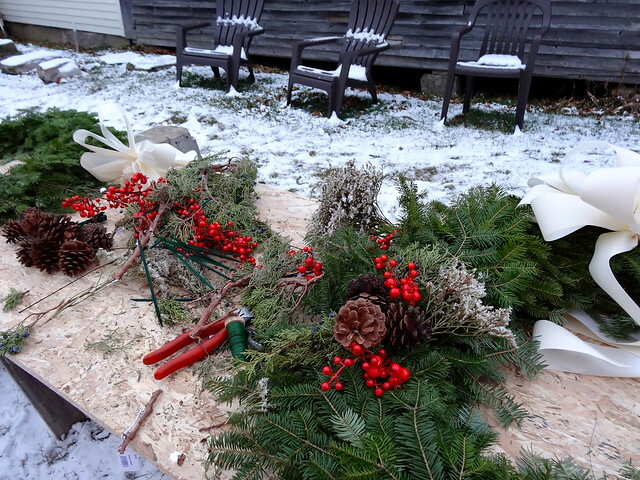 Your garland and wreaths look lovely. 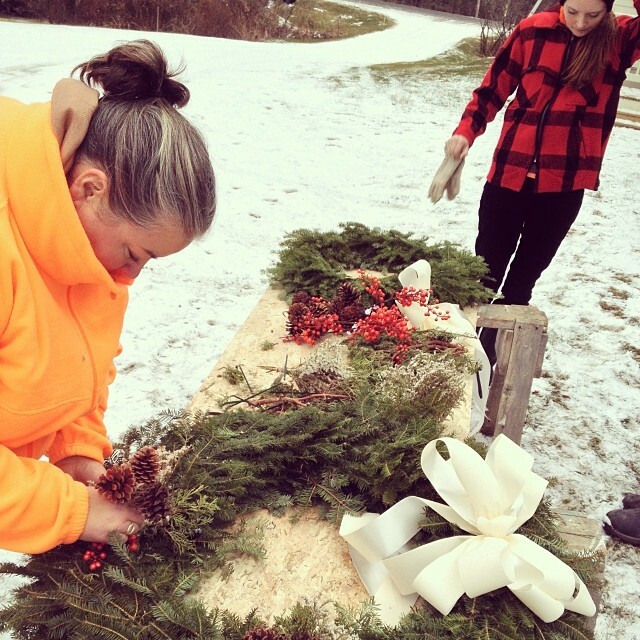 I can't wait to see how you will decorate your new home for Yule.